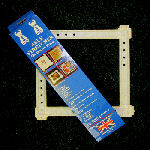 Counted cross stitch kit. 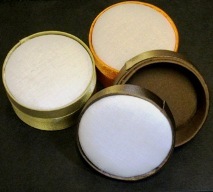 Design size is 105 x105 mm. 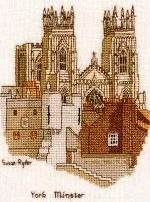 York Minster Cross Stitch Kit by Susan Ryder for the Heritage Collection . Lovely small scale design of York Minster seen from across the roof tops. Stitched on 14 count aida. 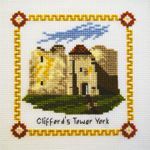 York Minster Cross Stitch Kit by Susan Ryder for the Heritage Collection . evenweave . Lovely small scale design of York Minster seen from across the roof tops. Stitched on 27 count linda.